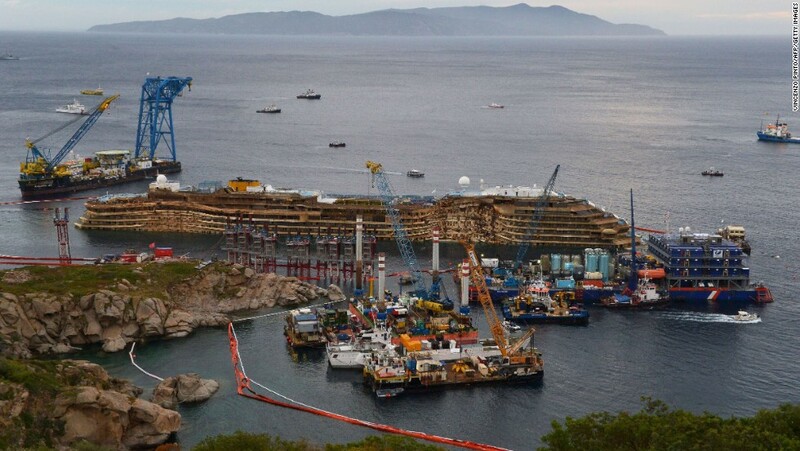 The operation to refloat the Costa Concordia cruise ship began on 14th July 2014 and the vessel has now completed its final journey to Genoa. PSD supplied a pair of SM400SDP desanders to Fugro Seacore to remove excavated cuttings from the fluid produced by the reverse circulation drilling operation to construct the subsea piles for the platform on which the cruise ship was resting. PSD then supplied the salvage contractor, Titan Micoperi, with an SS150DP desander and SU8DP desilter to remove solids from the seawater used in the environmental clean up of the seabed that followed the piling operation. This equipment is located on the left of the jack-up in the centre of the photo.